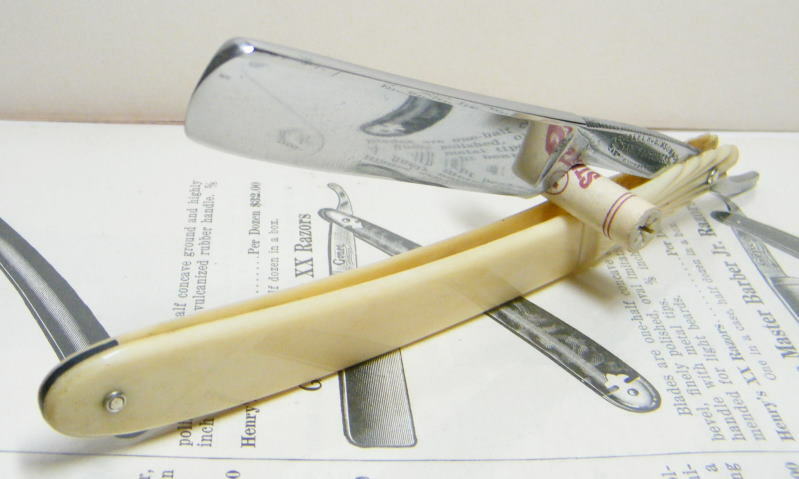 STRAZORS.com - all about classic razors - Herbert Robinson & Co., Sheffield. Herbert Robinson & Co., Sheffield. This firm was launched in about 1898 by Herbert Robinson, a cutler, residing in Intake Road, Park. Henry Robinson, a cotton spinner, had lived at the address previously. By 1902, Robinson's enterprise had moved to Mary Street. By 1910, Matilda Street was the company address. In 1917, Robinson's was located at Canton Works in Young Street. An inter-war advertisement showed Robinson's products. "Everklean" table cutlery was given prominence, alongside traditional hollow ground razors, with a range of marks: "Grinder", "Danyl", "Kantor", "Robyn", "Kanton", "Philo". The company also produced a traditional range of pocket cutlery. Its main trademark was a grinder. By 1941, Robinson was at Canton Works in Rockingham Street, but no listing can be found after that date. According to the Tweedale's Directory of Sheffield Cutlery Manufacturers by Geoffrey Tweedale.